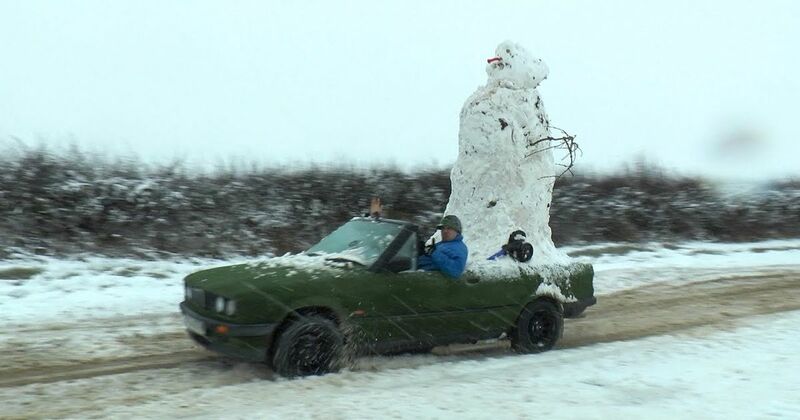 Why Wouldn't You Turn Your E30 Hot Tub Into A Giant Snowman Transportation Device? You might remember our favourite back yard inventor/bonkers YouTuber Colin Furze giving an old, dilapidated E30 BMW 3-series convertible a new lease of life by turning it into a driveable hot tub. The results were amazing, but the trouble is, it’s not exactly hot tub weather in the UK right now. Over the weekend much of the country received a liberal dusting of snow, and the mercury is still overing around the 0 mark for most people. Naturally, then, Furze decided it would be the perfect opportunity to build a giant snowman in the back of his one-of-a-kind E30. And drive it around. Obviously.